When it comes to mouthwash my family is very picky either we don’t like its harsh taste or it’s very expensive for us. But because we need to have a mouthwash as we all use it we don’t have a choice but to consume the one I bought and suffered from its bad and strong mint taste. 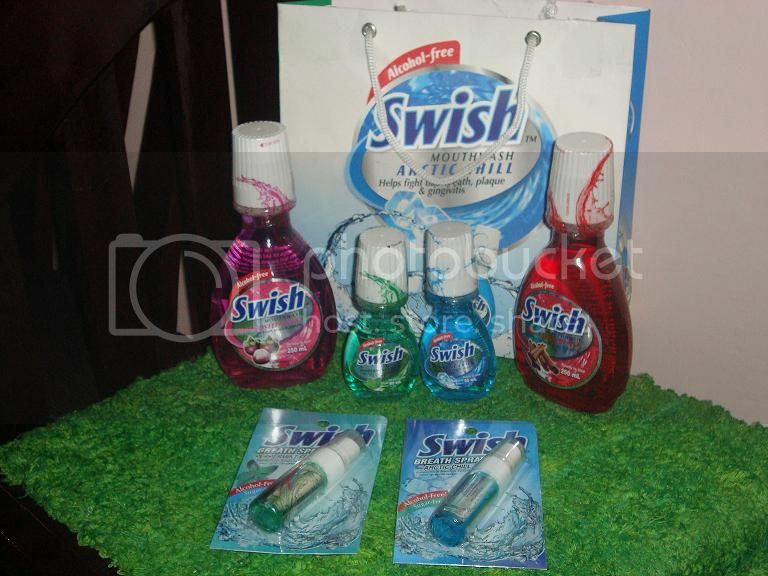 Luckily we never failed to try any kind of brand that makes us love and make a switch to Swish mouthwash. Swish is actually new in the market and it seems this product is no different from other popular brand in the market but to my surprise this is the only mouthwash that my son love to use. Yes my son hates to use mouthwash but after trying out Swish he insisted that I should only buy this brand and dished out others. Before my son and I will argue because I am forcing him to use mouthwash for I always smell his nasty breath even after brushing. So what makes us switch to Swish? The answer just lie on its taste, it is gentle than other brand yet it can freshen breath in an instant. It is very convenient to use especially by children and has no alcohol and sugar ingredients but can still fight bacteria and germs that lingers in our moth. Our favorite flavor is the one in green color of peppermint fresh although I have tried the blue one but I think we will stick to green, will try red just for tasting. Its insular nature guards us in public places with a collection of our favorite music! of these colors have good attractive and a positive appeal.